This bracelet is a wrist wrap cuff made from five strands of strong shape retaining memory wire (tempered stainless steel wire that remembers its shape when you expand it and snaps back to its original form when you release it). The bracelet self adjusts to your movements. It is 1 1/2 inches wide. 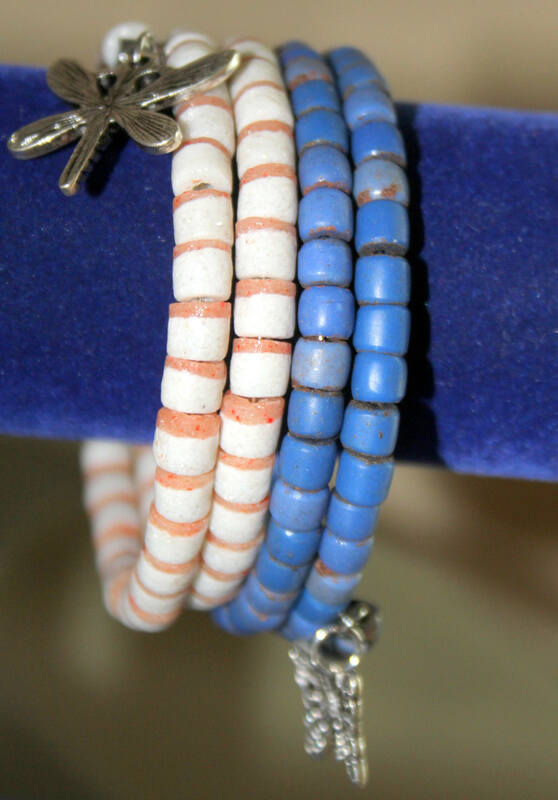 The beads are rustic looking blue and white handmade recycled glass African trade beads. 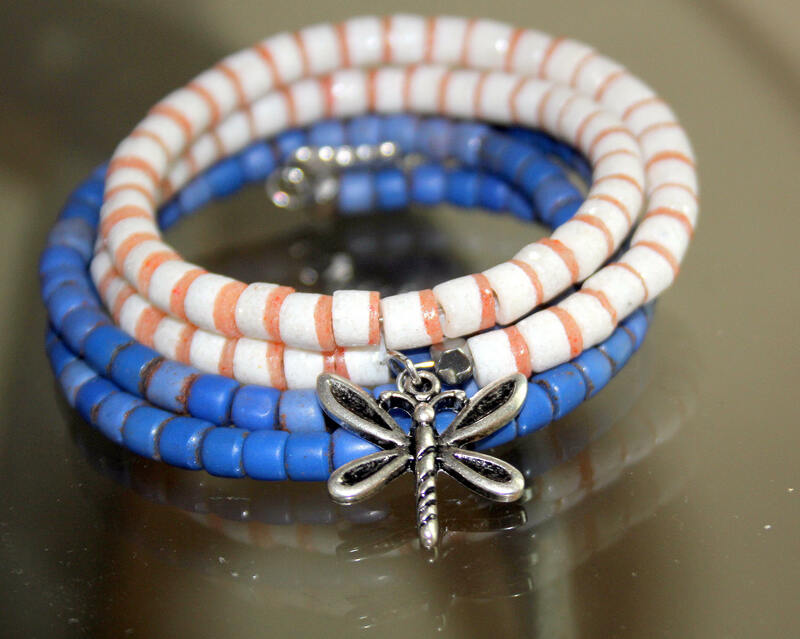 The white beads are @ 5 mm each with peach colored bands on the edges. 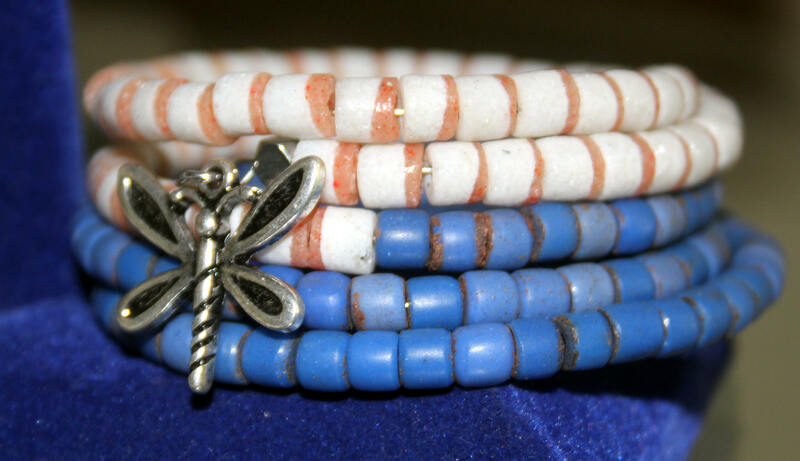 The blue beads are @ 5 mm each with some having the natural matrix in the edges. 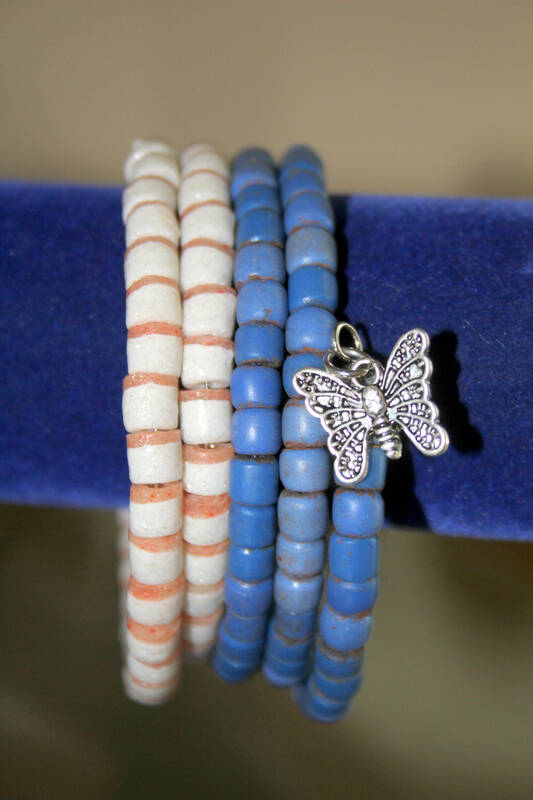 The bracelet is accented with a silver toned butterfly and dragonfly charm.